We broke a 60+ yr tradition in both our lives and got on a Jet to Cabo, instead this yr.
Friends went out of San Jose just up the road and caught Mahi and Wahoo.... Said he saw some 150 to 200 + YFT brought in during his week. Mid to Late November is a Great time of the year to go down there. We just got a 2 person charter from the Resort book. All the regular "recommends" were booked the entire month. Our Resort was 5 Star on everything except the Taste of the food.... I give'm a D+ for Taste with a A for presentation and a A for everything else. Hope you enjoy the Video Scrapbook. We also spent a week in that area for Thanksgiving. First three nights in Los Barriles, nice little vacation/fishing town. We did a half day there and they fished small live sardines some drifting, some trolling. 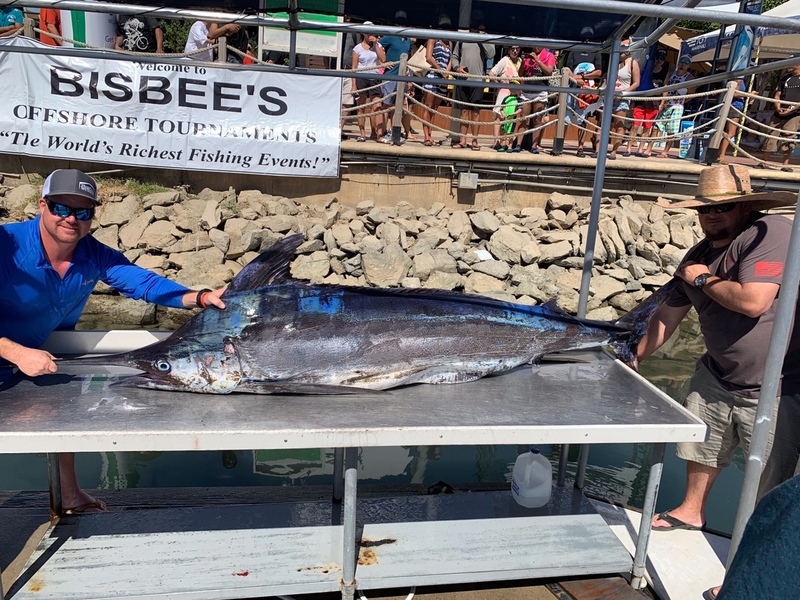 We boated a decent size tuna and sierra but had several break offs, captain said they couldn't use anything more than 20lb fluorocarbon or they wouldn't bite. We stayed our last three nights in Cabo San Lucas at Pueblo Bonita Pacifica (adults only), I would highly recommend this resort but none of the other parts of Pueblo Bonita, they were zoos. We fished a full day with El Budster and landed 3 mahi/2 striped marlin. Almost all the boats had several flags flying back at the marina but I believe JC's boats had the most. Thank God you survived a vacation to Mexico!!! On a serious note, we were at the same hotel in August and had a great time. Fishing was much slower. We fished four days offshore and one day inshore and only caught 2 stripes and 2 blues and lost 2 sails about 200 yards off the beach fishing for roosters. Great video, thanks for sharing. Haven't been there since early 80's, sure has grown! I was down there with the family Tgiving week as well. Great weather, but didn't get to fish. We did a kayaking trip from the beach next to the harbor. The number of dorado flags on the boats coming back in mid day was crazy. Fishing must be really good there right now. Looks like a great way to celebrate Thanksgiving!